Weekday Play times are held Wednesday 1-7 PM, Thursday 1-7 PM, Friday 1-8 PM. $10.00 per child . 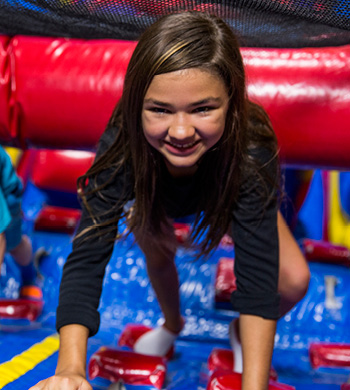 Our Imagination Blocks and 7 inflatables and digital floor are perfect for mom's groups with toddlers, home schooled groups and visitors looking for an indoor activity. Also, don't forget to ask our frequent flyer card. If you attend 6 events (play times, field trips or parties) you can complete your card for a free play time visit. Weekend Family Play times are published on the Thursday before the weekend. Play times will vary by weekend and are only available when we have an opening. We do not mix play times with private parties. Check our Calendar on the Friday to know times for the upcoming weekend.